Copyright is a mysterious, scary zone. You don’t want to steal someone else’s game and get whacked with a lawsuit. And you don’t want anybody to steal your game, either. A quick preface here–we’re not lawyers. If you have actual, pressing legal concerns, you should seek out the appropriate professional help. 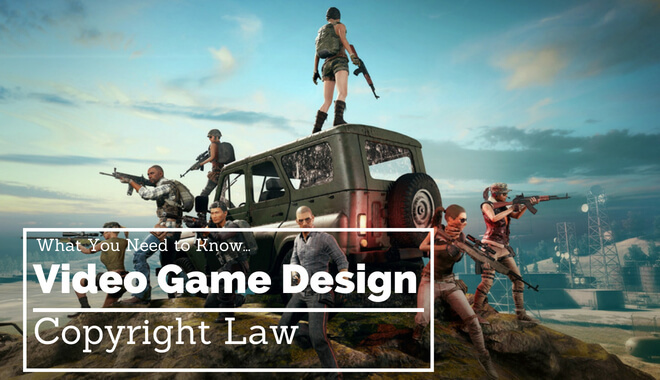 This guide is intended to give you a better idea of what actually goes on in the world of copyright laws, particularly as it relates to game design. And, as you’re about to find out, copyright law is a bubbly swamp of convolution, misunderstanding, and information that can be (and is) interpreted and reinterpreted all the time. Copyright law (along with much of the law system in general) works by leaning on precedence. Precedence is the decisions and rulings formed in prior trials. Previous rulings factor into new rulings all the time. So, in a way, every new case shapes future cases and copyright law as a whole. Welcome to the whirlwind. Please strap yourself in. Copyright laws can be tricky regardless of the medium you’re working in. You’ve likely read about the lawsuits in music–there was a big one with Robin Thicke, Pharrell and Blurred Lines, where the Marvin Gaye estate sued for infringement. There was a more recent plagiarism claim against Lana Del Rey, and there have been many others. You have it in the TV industry. Stranger Things creators are getting sued for stealing an idea for the show after allegedly meeting the claimant (the one doing the suing) at a party a few years ago. Years ago, Universal Studios even sued Nintendo over Donkey Kong, claiming that it was a rip off of King Kong. Nintendo won the case, though. Sometimes the claims seem legitimate, and the thieves should be penalized. Other times the suits seem more like money-grabs, the kind that makes your blood boil. But it happens (“don’t know why that is, greed, probably”– Name that game*!). It’s tricky territory to navigate because the rules surrounding copyright protection are changing, and they’re always open to interpretation by the judge(s) involved. The thing about video games is…there’s not a whole lot you can copyright. You can copyright your finished game. As soon as you publish a work in a fixed, tangible form, you are the copyright owner. You do not technically have to do anything, you are automatically granted copyright ownership (you might want to register your work anyway, and we’ll get into why in a bit). These elements are yours and protected by law. You can protect your logos, characters, and game titles with trademarks (a little different from copyright protection, and simply using the logo only ensures local protection. Registering a federal trademark will grant protection regardless of geographic location). Your specific code is protected, like your original rendering of the Beach of Normandy for your WWII game. But the Beach of Normandy itself cannot be copyrighted. If someone ripped your code or copied your exact beach layout, you could potentially claim infringement. 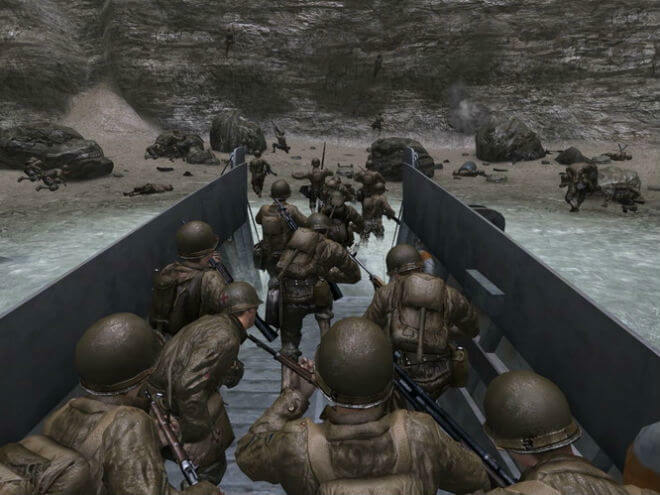 But if another game featured the Beach of Normandy in their own way, they would be completely within their rights. You can’t copyright what’s called scenes a faire. This French phrase refers to the elements that are needed in order to realize a specific idea. A racing game, for example, needs race cars, tracks, drivers, steering wheels, speedometers, etc. Those elements cannot be copyrighted, because a racing game cannot exist without them. A planetary exploration game needs spaceships, aliens, planets, and space suits. You can’t copyright those, either. It’s the same with castles, dragons, wizards, potions, etc. In general, you can’t copyright them. If you build a six-spire castle, stable on the east wing, alchemy tower on the west wing, kitchen on the south wing, name it Crachwall Castle, and paint the whole thing blue and write a story around the castle for your game…only to see an identical Crachwall Castle pop up in a dungeon explorer game that comes out after your game, you could potentially file a lawsuit. Related: How Do You Come up with Awesome Game Ideas? If another blue castle shows up, you don’t have a lawsuit. Scenes a faire cover movies and books, too. Here’s another thing you can’t copyright: mechanics. A good example to illustrate that point: PUBG and Fortnite. PUBG was the biggest name in the “new” style of battle royale games. It was the game console players were salivating over. They watched for hours on twitch and youtube as PC players parachuted into Pochinki. And then, all of a sudden, a free-to-play battle royale game hit the scene: Fortnite. Fortnite blew up. And, from a purely technical standpoint, Fortnite is the superior console game. PUBG, even 4+ months after its release, is still plagued with rendering issues, disconnects, and more. The concept is exactly the same. You load into a flying vehicle with up to 99 other players. You pick a landing zone and parachute down. You land with nothing and race to collect weapons before your opponents. Then a “safe zone” is outlined, and a blue forcefield begins closing in, pushing you into smaller and smaller play zones, until only one player (or team) is left standing. The weapons are similar: assault rifles, SMGs, grenades, crossbows, pistols, etc. But there’s no threat of a copyright lawsuit. The mechanics of a battle royale game cannot be copyrighted. Now, Fortnite did add the building element, which certainly changes things. The games don’t play exactly the same way. But the concept is the same, and the damaging force fields are even similar colors. But PUBG had no claim to the mechanics of the game. It’s the same reason why Call of Duty and Medal of Honor can coexist. It’s why there are so many Clash of Clans games available on mobile. “Copyright does not protect the idea for a game, its name or title, or the method or methods for playing it. Nor does copyright protect any idea, system, method, device, or trademark material involved in developing, merchandising, or playing a game. Related: What Do the Best Games Have in Common? 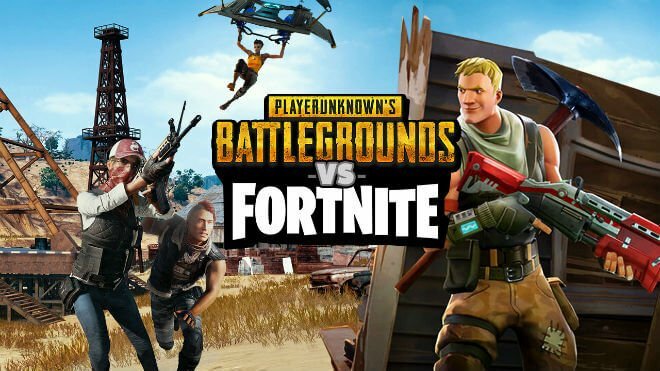 That’s why PUBG and Fortnite can co-exist, even though the idea for Fortnite free-to-play battle royale mode clearly comes from PUBG. And that’s why, if you come up with a revolutionary new game mechanic, other games using the same idea might follow shortly after. How Do You Protect Your Game with Copyright? Technically you automatically own the copyright to any original work, including a video game, as soon as it’s published in a fixed, tangible (which includes digital, now) form. The day you make your game available to the public, the day you own the copyright. But, for extra protection, you need to register your work with the US copyright office. Registering your work has a few advantages. One, you have certified, government-backed proof that you created said game, and when you created said game. You have an official record. That makes any future legal battles easier for you. Without the certificate of registration with the copyright office, it is up to you to prove in court that you actually authored the word, and that you actually published it when you said you did. It’s not the end of the world if you have to prove those things, but registering your work will save you the time and effort. Registering your work has the added benefit of putting the fear into any evildoers and game thieves. Your “cease and desist” letters have that much more weight (knock on wood that you never have to send one). And, if you do have to move to trial for infringement, you have the advantage. There is a fee for registering your work. It’s usually a one-time charge in the $50+, which is a pretty reasonable price for extra peace of mind. When Should You Register Your Game? You only need to register your game one time, and you should. That will protect the work for your lifetime and then some. The long and short of it is, you likely don’t need to worry about copyright laws right now. One, people have already come up with all the good ideas (Simpsons did it. Also, just kidding!). Two, it can be human nature to be a little overprotective of our ideas. It’s possible that you have really great ideas and create really great games that people want to steal line of code for line of code. But living in constant fear of someone stealing your creations is no way to live (especially if you overestimate the appeal of your games to copycats). Related: How Do You Motivate Yourself for Game Design? Plus, there’s no plateau of protection. For as long as you are alive and have a game published, there is a chance someone could steal it. It’s just not worth over-worrying about. Take the steps to protect yourself as best you can (i.e. registering your work with the US copyright office). And then get started on your next project! The good thing about copycats is…they can only ever catch up! If you keep making, they’ll always be one step behind. Another thing to consider: court battles can be time consuming and expensive. You’ve seen how much room for interpretation copyright law leaves to judges. But this flexibility has been great for the game industry. Without it, game dev studios could copyright things like weapons, game mechanics, or even whole genres. You could have one studio in control of all FPS games. Or all battle royale games. That means no Fortnite. No Halo. No Call of Duty. We’d be stuck with one lame iteration after another of the same type of game from the same studio, with no option for other devs to take a stab! It can seem unfair sometimes, but copyright law does have its moments. Is it ok for people to steal your game? Nope! There are times when it really makes sense to fight for your rights. But it’s never going to be an easy fight. And worrying about it before you need to doesn’t help anything. Focus on creating great content. Register your works as you publish them. And stay locked in on what matters: your passion for games. And, of course, always seek professional legal help should the need arise.